Abstract - This paper describes a convergent and configurable On-line charging architecture for integrated services in the IMS environment, as a layered platform with separate levels for individual charging processes. Certain components on different charging levels are dynamically configurable and customizable according to service and tariff policies of operators, to allow flexible charging of different services, in real time. We describe how such elements ought to be initially set by the central provisioning system and configured by created charging rules, in order to follow dynamic changes in the service session. Abstract - Text categorization is one of the most important role in many applications in natural language processing (NLP). The task of text classification is assignment of free text document to one or more predefined categories based on their content. Whereas a wide range of methods have been applied to English text classification, relatively very few studies have been done on Lao text. In this paper, we present methodology for Lao document presentation and two of the best machine learning techniques, which have namely Radial Basis Function (RBF) network and support vector machines (SVM), to classify the documents. Experimental results revealed that these approaches could achieve an average about 82% accuracy. Additionally, we also analyze the advantages and disadvantages of each approach to find out the best method in specific circumstances. Abstract - The constrained operating environments of many FPGA based embedded systems require flexible security that can be configured to minimize the impact on FPGA area and power consumption. To ensure the overall security of embedded systems with off-chip memories, it is essential to safeguard the confidentiality and integrity of the data that travels between the system-on-chip part of the embedded system and the off-chip memory. This paper proposes a complete hardware solution for embedded systems that fully protects off-chip memory. The confidentiality and integrity is achieved by using a modified Elliptic Curve Cryptographic (ECC) approach. Initially, with respect to the instruction from the processor, the security level for the address is identified and based on the security level the encryption process follows, thereby storing the data in the form of cipher text in the external memory location. During read operation, based on the address, the segment id is verified and then the decrypted data is allowed to the processor after appropriate verification. These modules safeguard external memories for embedded processors against a series of well-known attacks, including replay attacks, spoofing attacks and relocation attacks. The complete module is realized using Xilinx ISE 14.1 software using verilog coding with a target device as virtex-4 xc4vlx200-11-ff1513. The functional verification of the design is done by simulating the design. 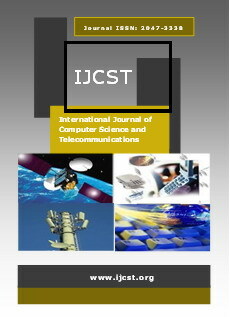 Abstract - In third generation partnership project (3GPP) Long Term Evolution (LTE), the frequency planning with reuse of one is aim to provide high bandwidth service to the user but such a frequency planning strategy can lead to unacceptable inter-cell interference levels experienced especially by users located at the cell edge area. In this paper two methods, Fractional Frequency Reuse (FFR) and Soft Frequency Reuse (SFR) are proposed as interference management scheme in order to enhance overall per user Quality of Service (QoS) and throughput as per basis on Signal to Interference Plus Noise Ratio (SINR) metrics. Both of them are analyzed on the basis of probability of coverage and acceptance rate by considering the average SINR experienced by the user. Along with individual analysis, comparative analysis, it was found that FFR and SFR have relative better performance in terms of per user acceptance rate and coverage probability. Among them Soft frequency reuse improves the cell capacity with seven percent in coverage and thirty five percentage in rate than FFR but it still suffers from more interference than FFR. Abstract - Mobile phone becomes an indispensable medium not only for communication but also for delivering services based on their location and demand. Mobile location data provides wide range of opportunities to the marketers for delivering services to their consumer based on their real world behavior, geographic location, from point of interest to path-to-purchase. Location Based Mobile advertising is a new form mobile advertising combined with location based services. This paper provides a detailed ecosystem of Mobile Advertising along with localization and personalization. The proposed section of this paper LBMA architecture addresses few challenges in the mobile environment by dividing three layer interfaces and it list outs success factors of location services. By implementing this framework leads to significant opportunity for delivering advertising channels through mobile devices.